Samples were received to facilitate this post. Earlier this year, I purged my wardrobe big-time. KonMari style. I promised myself I would more selective with what I put back into my closet. 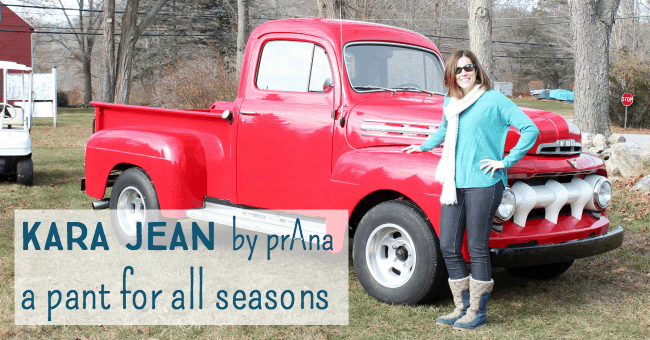 So when I met the Kara Jean from prAna, I was thrilled to discover: it’s truly a pant for all seasons! One of the tenets of creating a good wardrobe is ensuring each piece reflects who you are. You should feel happy wearing your clothes! That clothing happiness is a veritable Venn Diagram intersection of fit, style, and values. I’m happy to report my experience with prAna is a happy merger of all three! prAna’s mission is to design clothes that gives people the option to dress for adventure, and for themselves at the same time! Let’s take a look! Fit – Whenever I buy clothing online, I scrutinize size charts, read reviews that have to do with fit, and hold my breath until the package arrives. I am thin, yet pear-shaped, so finding pants that fit correctly is always a challenge (we all have our fit challenges, don’t we!). When I slid on the Kara Jean (prAna’s most popular item! ), they fit me effortlessly in all areas! Like they were made for me! I ordered a size 8, and can say that while I personally need some work on toning in the abs area, I would not have wanted a size up or down. My Kara Jean pant was forgiving of all these situations, and while it is listed as “low rise” I never had to pull up my pants in back; these pants just fit so nicely, I could focus on our family adventures and not what I was wearing. This is probably thanks to the prAna designers, who actually test out the clothing they create, based on the fact that they too are “real people” who live and work, but also love the outdoors and adventuring! Style – I’m fairly minimalist in my basic items, both in my sense of style, and stewardship. I appreciate the clean lines of the Kara Jean, and understated dark wash denim look with five simple pockets. The minimal trim on this pant means you can build a bolder outfit around it as a “blank canvas” of sorts. If I wanted to get bolder, I could’ve chosen one of their hotter colors: Grapevine, Picante Dots, or Sunwashed Red. Plus other neutrals like Charcoal Dots, Black, Silver, Cargo Green, and Indigo! You can wear this pant long, or cuffed up to your desired length. The tapered leg cuffs SO nicely, holding its place without sagging or drooping. Uncuffed makes for a great dressy casual option, while the cuffed look is fun for weekend adventures like getting our Christmas tree! Values – Are you concerned with the materials used in clothing? The sustainability of manufacture? So is prAna. They are mindful of supporting fair trade and sustainable practices. My clothing arrived with minimal packaging, tied only with raffia (because, really, do we need gobs of poly to ship soft clothing!? No!). prAna uses bluesign® to ensure their brightly colored items are not polluting the water and air during manufacturing. And, prAna can trace the organic cotton used in their Kara Jeans back to the original farm (maybe not the plant, but that’s pretty close!). The Kara Jean is made from organic cotton and recycled polyester, meaning less energy is consumed in making the pants! easy layering – perfect for winter! organic cotton – so soft! Fair Trade Certified (TM) – fits my values! 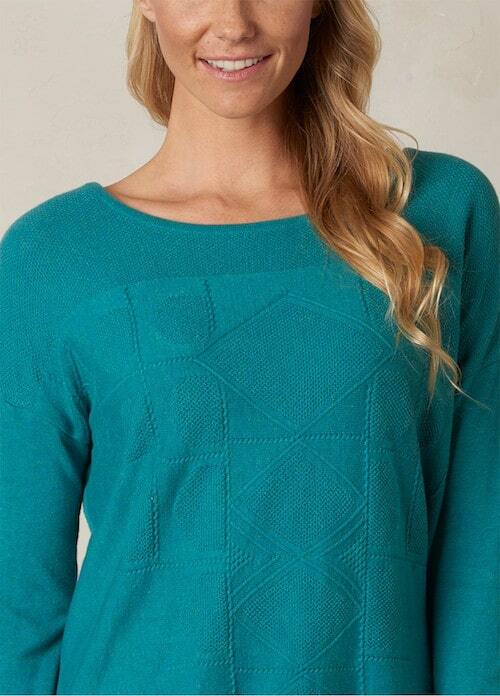 Get 15% off your entire prAna order! For 15% off your entire order with prAna online, use this code at checkout: TMHF16HSH. There’s great sales and free shipping on US orders going on right now! It’s the perfect time to refresh your winter wardrobe, or order some quality clothing for Christmas gifts! What pieces are you looking for to give your winter wardrobe a boost!? Thanks to TheMotherhood and prAna for sending clothing to facilitate this post. All opinions are my own. I love Prana jeans – very comfortable. That red truck is amazing! !